In the spring of 1983, the NFL may have been at its weakest point. The previous season had been marred by a players strike, the upstart USFL was poaching star players and Al Davis was successfully suing the league. But the momentum began to change on April 26, 1983 -- the day of the NFL Draft -- when a new generation of superstars was poised to enter the league. Six quarterbacks were selected in the first round of that draft -- still the most ever. "Elway to Marino" explores this landmark draft through the eyes of the players, head coaches, general managers, team owners and agents who participated. Agent Marvin Demoff, who represented both John Elway and Dan Marino, and kept a diary in the months leading up to the most dramatic draft day in NFL history. We'll learn the inside story of draft picks and back room deals, and see the tension between future Hall of Famers and the teams that selected them. No one loved NFL history more than NFL Films President Steve Sabol. Early in my career, I remember him telling me "Never think history is boring. The further you get from historic events, the more dramatic details are lost. For a filmmaker, that's a blessing. " As usual, he was 100 percent right. No one wants to tell the same old story -- and that was my early concern while researching the 1983 NFL Draft. Six quarterbacks were taken in the first round, Elway was picked by the Colts and traded to the Broncos, Marino fell to the Dolphins at No. 27, etc. ... I figured I knew it all, or at least most of it. Boy, was I wrong. My eyes were opened by a man named Marvin Demoff, who represented both John Elway and Dan Marino in 1983. People who work around the NFL know the Demoff name. He was, and is, a legendary agent known as much for his gracious personality, as his relentless negotiating skills. When I first met Demoff (thanks to Josh Pyatt at William Morris and the great folks at ESPN Films) one moment turned my thinking around; it was when he said "You know, I kept a diary during the entire Elway process." He then began telling stories from that diary. Unbelievable stories, like how John Elway nearly became a Raider, what Hall of Fame quarterback was almost traded to make room for him, and the reasoning behind Elway's public claim that he would only play on the West Coast. I was hooked. From there, it was a whirlwind of production, highlighted by an incredible NFL Films crew who recreated the NFL draft room exactly as it stood in NYC in 1983. From the podium where Pete Rozelle stood to the cigarettes in the ashtrays, we literally brought 1983 back to life. It was one of the most amazing production jobs I'd ever seen. We interviewed Demoff in that room for nearly 7 hours. The details were fascinating and the anecdotes were mesmerizing. While the focus of "Elway to Marino" is the drama surrounding his two star clients, there are many stories to be told between picks No. 1 and No. 27. I hope audiences will feel the same sense of rediscovery that I did when listening to Demoff and others tell them. Steve Sabol was right -- discovering those forgotten details has been a blessing. 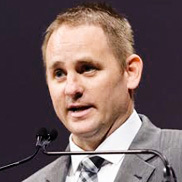 Ken Rodgers is an Emmy Award-winning supervising producer for NFL Films. For the past six seasons, his signature work has been as the lead creative producer behind "Hard Knocks," HBO's training camp reality series that won back-to-back Emmy Awards for Outstanding Edited Sports Series (2009 and 2010) and most recently featured the Miami Dolphins (2012). Winner of 107 Emmy Awards, NFL Films is widely recognized as the most honored filmmaker in sports. NFL Films has revolutionized the way America watches football and sports in general. 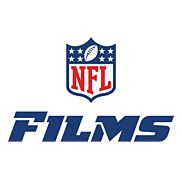 As a wholly-owned subsidiary of the National Football League, each year the studio produces more than 600 hours of new NFL programming for NFL Network, ESPN, all major broadcast and numerous cable networks, NFL.com, and the DVD market. Additionally, NFL Films produces hundreds of hours of non-football related programming for a wide variety of clients and broadcasters, as well as audiovisual and engineering support for other divisions of the NFL.